show they’ve got what it takes to send an experiment to space. Rocket scientists, real meteorite pieces, big telescopes on loan from astronomical societies—and mixed in with it all, students in grades 5 through 12 presenting their own experiments, each hoping to be selected as a finalist to possibly have their experiment fly to the International Space Station (ISS). This is the scene at Space Night in Burleson, Texas, a community event put on by the Burleson Independent School District (ISD) designed to get families, students, and community members excited about science and spaceflight research and to allow students an opportunity to present the experiments they are submitting for Step 1 Review as part of the National Center for Earth and Space Science Education’s (NCESSE) Student Spaceflight Experiments Program (SSEP). 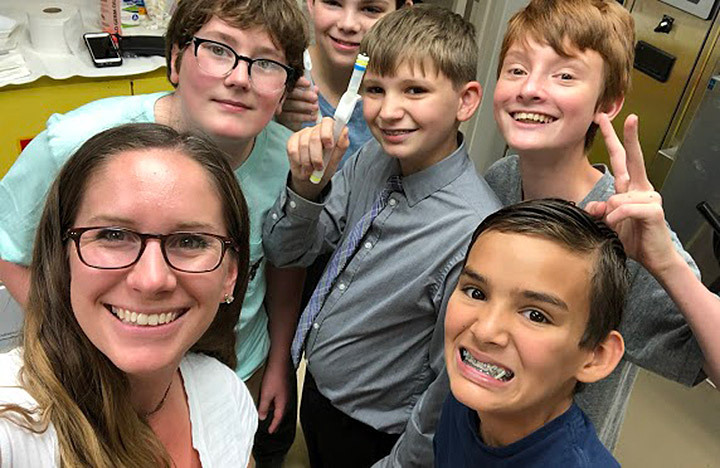 SSEP Team Penicillium Mold Growth (Ethan Moore, Ryder Huskins, Ian Ray, Kenneth Huskins, and Gabriel McCarthy), together with their teacher Laura Smith, prepare their MixStix sample to launch to the ISS National Lab for their SSEP experiment. Burleson ISD began participating in SSEP during the 2014–2015 school year, a year after the new superintendent Bret Jimerson came onboard with the mission of getting more students engaged in science, technology, math, and engineering (STEM). “He wanted to unify everyone around an idea of STEM and progress and innovation. That’s where SSEP comes in,” said Leslie Bender Jutzi, Burleson’s chief academic innovation officer. 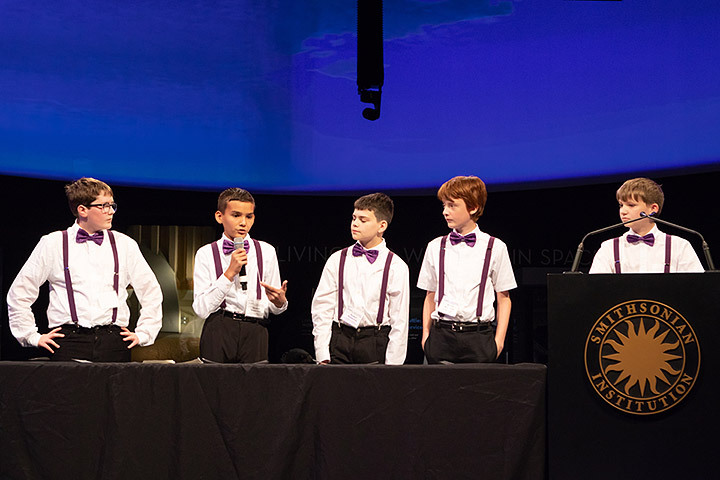 Recognizing the power of space to inspire and engage students, Jimerson’s first project for the district was SSEP, a program in which they have participated and excelled every year since. With the success of SSEP within their community, the Burleson ISD Academic Innovation Department has expanded their program offerings to include options in robotics, drones, xeriscaping (a landscaping method that reduces the need for irrigation), and additional space topics and research opportunities, covering a wide range of age groups. The primary mission of the ISS National Lab is to benefit life on Earth, something that SSEP tackles through inspiring young scientists. SSEP is unique because it engages students in every aspect of STEM through a research competition in which the winners get to imagine, design, and send an experiment to space—an immersive learning experience that aligns well with Next Generation Science Standards. 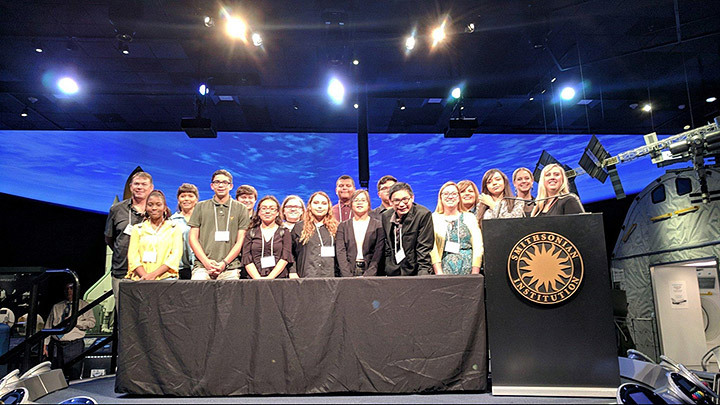 Ector County ISD students at the 2018 SSEP National Conference at the Smithsonian National Air and Space Museum in Washington, D.C. The thought of designing a spaceflight experiment is an irresistible lure for students in grades 5 through 12, who are the primary focus of the program. 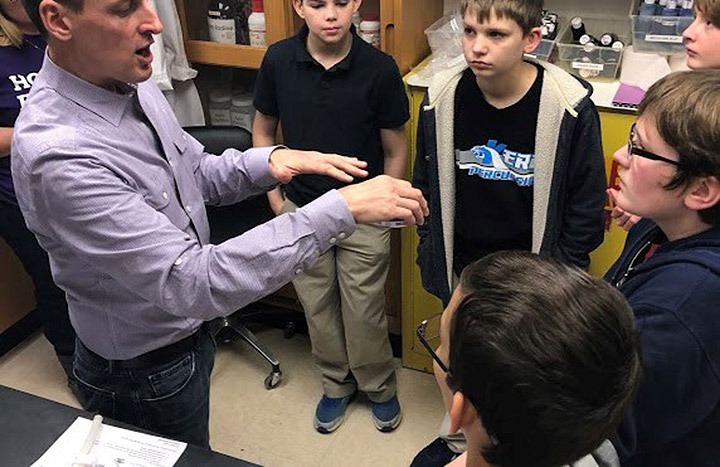 Instead of the traditional model of doing well-established experiments in science class, students are challenged to research a topic and come up with an experiment worthy of microgravity study. “I think the idea of flying an experiment to the International Space Station is what draws them in initially, but what we found from most of our students is that being treated as professional scientists was a better experience for them than anything in terms of actually flying the experiment,” said Stacy Hamel, SSEP Senior Flight Operations Manager for the NCESSE. 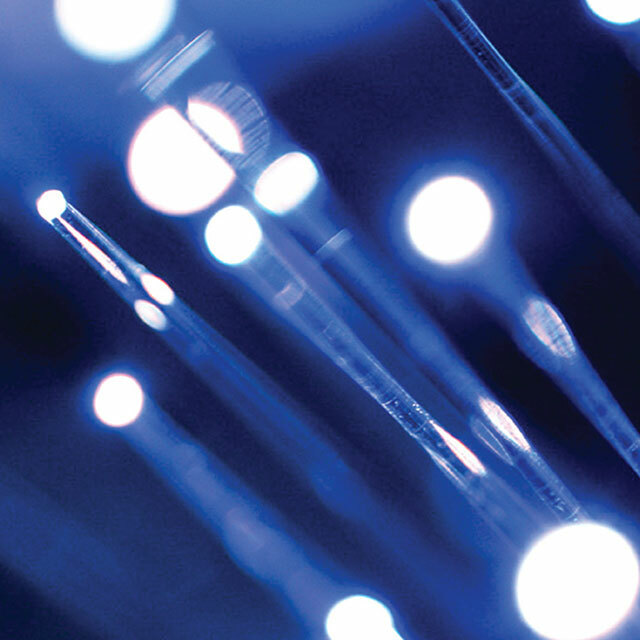 For each SSEP mission, a call is put out for interested communities to submit an implementation plan detailing how SSEP will be used to meet strategic needs in STEM education for their community. Once communities join the program, students are required to submit proposals just like those written by practicing scientists. With the help of their teachers, students split into small teams of typically three to five students and learn how to do the most basic and often overlooked part of science: experimental design and proposal writing. Over a nine-week period, students come up with research questions and think of ways to answer the questions within certain parameters set as part of the competition. Students must also plan a ground control experiment that is conducted simultaneously on Earth to understand how spaceflight affects experimental outcomes. This allows students to compare experimental results in microgravity with results from Earth-based controls. Typically, only one experiment flies from each participating community, so the competition is tough. Once students craft proposals, a local review board comprised of experts within the community selects three finalists to be moved on to national review, where a committee of experts assembled by the NCESSE selects the winning experiment for flight. Perhaps the most challenging part of the competition is that students must come up with an experiment that can fit within the parameters of the lab space available on the ISS. The NanoRacks Fluid Mixing Enclosure (called “MixStix”), the mini-laboratory utilized by SSEP, is essentially a silicone tube that can hold small amounts of fluids or solids in up to three separate compartments. Students may use either one or two clamps to separate samples. Once in space, ISS crew members can open the clamps at different time intervals to start and stop the experiment. 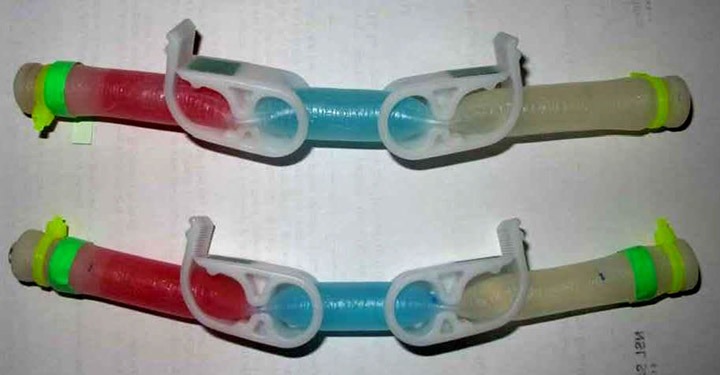 The MixStix can hold up to 10 mL of samples or up to 8.2 mL total with the use of two clamps. “So, for example, students can load a seed and a substrate in volume 1, water and a liquid fertilizer in volume 2, and a fixative in volume 3,” said Hamel. Students then write a protocol for ISS crew members with instructions on when to open the clamps and any other simple tasks that may be needed, such as shaking the sample on a certain day. 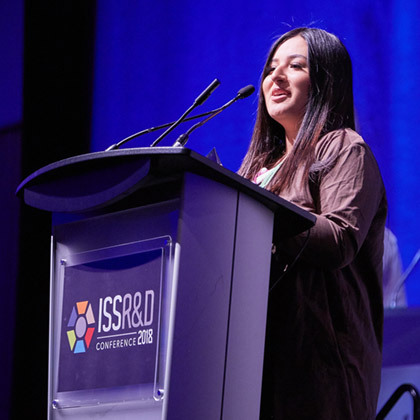 For tenth grader Deidre Morales from Ector County, Texas, designing her experiment to fit within the confines of the MixStix meant rethinking the entire experiment in a more creative way. Morales wanted to study ways to get rid of space trash, and while doing her preliminary research, she found a worm that degrades polyethylene (the most common plastic). However, the worm did not fit in the MixStix, so Morales had to go back to the drawing board. Ector County ISD students Faith Eleby, Deidre Morales, Wendy Hernandez, and Graceille Velasco working together to fill the MixStix with all of the components before sealing them and sending them to NanoRacks for launch to the ISS National Lab. “At the very last minute before proposals were due, she found a bacterium that had been discovered in Japan in 2016 that is known to degrade plastic,” said Elizabeth Gray, the teacher facilitator for the project. The bacterium would fit in the MixStix, but first Gray and her students needed to figure out how to get it to the United States. By reading through the scientific literature, they were able to track down the lab in Japan, and with the help of the Ector County ISD Innovation Department, they were able to collaborate internationally to get the bacterium from Japan to Texas. “It took us five weeks to get it because we had to order it online and get approval from the United States Department of Agriculture to make sure it would not be harmful to anyone,” said Gray. It was a unique opportunity that allowed the students to not only learn about a new bacterium but also learn about government policies and international collaboration in the sciences. Perhaps the most important goal of SSEP is that for many students, the program fosters true engagement in STEM subjects that goes beyond merely achieving high test scores. Getting good grades, while important to many students, does not necessarily lead to an increased interest in a subject. SSEP Team Penicillium Mold Growth from Burleson ISD presenting their research at the 2018 SSEP National Conference at the Smithsonian National Air and Space Museum in Washington, D.C.
“You have to make sure it’s relevant, and then you can get them engaged to the highest rigor you like,” said Bender Jutzi. As an authentic learning competition, SSEP does just that. Through the hook of helping astronauts onboard the ISS, or someday on Mars, students learn how to design an experiment, write a proposal, present their idea to local review boards, and, if selected to fly their experiment to the ISS, present the outcomes of their research at a national conference, typically held at the Smithsonian National Air and Space Museum. These are skills that many scientists do not learn until college or even graduate school. “It’s definitely a novel approach to science education, and it takes students from learners to actual practicing scientists,” said SSEP’s Hamel. For the students, it is exciting to be treated like a scientist, even though it is hard work. 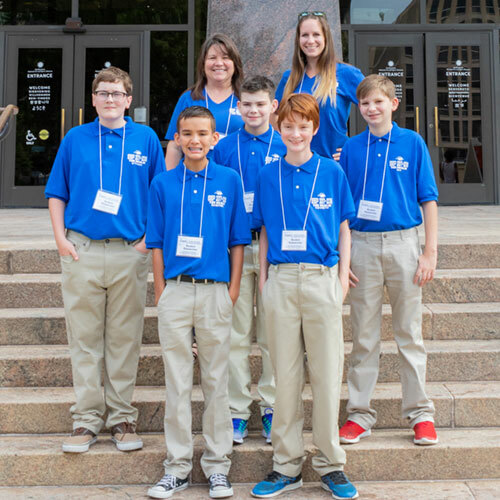 For sixth-grade student researcher and SSEP principal investigator Gabriel McCarthy from Burleson ISD, participating in SSEP had been a dream since he was in third grade. McCarthy’s career goal is to become an astrophysicist, and he had been looking forward to competing in SSEP since he first heard about the competition. Student principal investigator Gabriel McCarthy working with penicillium mold in potato agar slants in the Texas Christian University Microbiology Laboratory. In participating in SSEP and having his experiment “The Effects of Microgravity on Penicillum Mold Growth” selected for flight, McCarthy not only grew to understand just how much work goes into science, but he also got to experience new opportunities that were never available to him before. 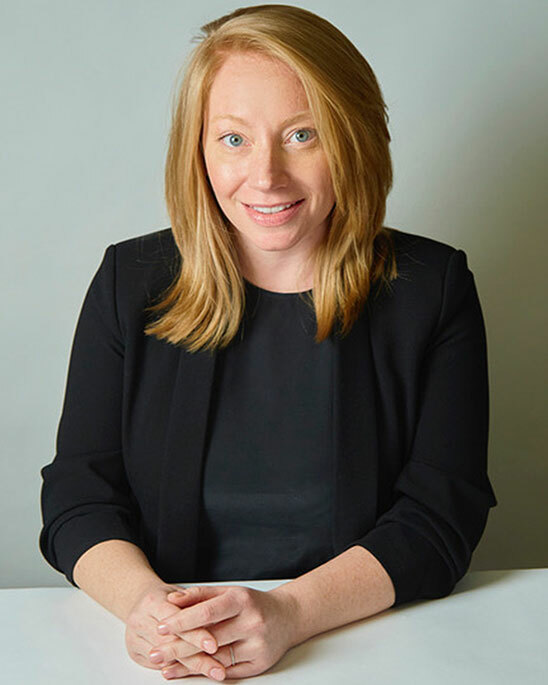 “It helped me get a grip on how much work goes into a project and how many variables can be surrounding a project,” McCarthy said of the experience. But for him, it was totally worth it. “The most exciting parts of this experience were going to Washington D.C., getting to present at the Smithsonian, being part of the launch party, and getting to work so closely with Texas Christian University (TCU) and college professors,” he said. Working with local universities is a unique opportunity and often one of the most valued experiences for students. McCarthy and his team worked with Clark Jones, a biology instructor at TCU, in his microbiology lab while preparing their sample for launch to the ISS. McCarthy also had the opportunity to work with Hana Dobrovolny, an assistant professor of biophysics at TCU, and to participate in TCU’s Student Research Symposium. Texas Christian University biology instructor Clark Jones explains the process of growing penicillium mold in the lab. McCarthy also learned how different concentrations of chemicals, like medications or nutrients, can affect tumor cell growth and has been invited to participate in TCU’s Student Research Symposium this year for the second time. 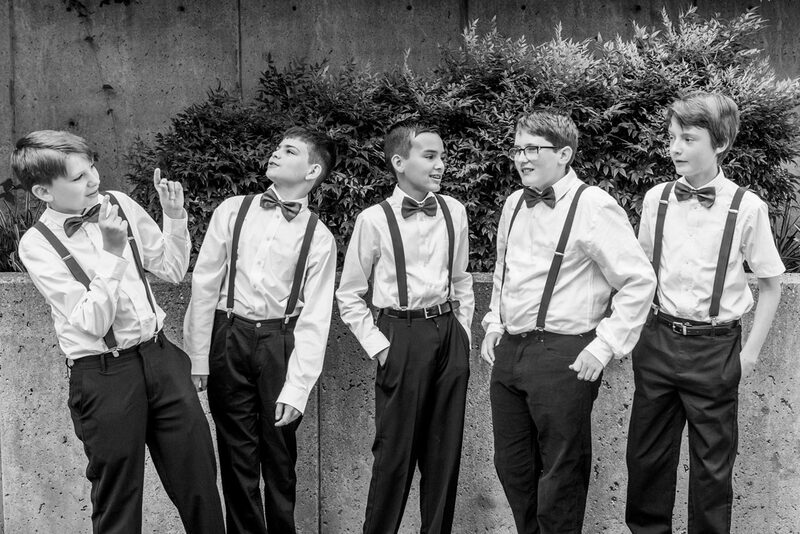 For a sixth-grade student, this is typically an unheard-of opportunity. Although the draw of flying an experiment to space is powerful, the benefits of SSEP extend beyond any single student or any one winning team. “SSEP touches every single aspect of STEM literacy,” said Gray, who reported higher interest in STEM subjects among her students after participation in SSEP. For many other communities, the results were similar. More than 12,000 students participated in microgravity experimental design and proposal writing for SSEP’s Mission 12. In the end, even though only some students had their experiment chosen to fly to the space station, the impact on all participating students was significant. Through the process of being treated like actual scientists and conducting real science, SSEP instills in students the idea that anyone can be a scientist. Team Penicillium Mold Growth from Burleson ISD presenting their research at the 2018 SSEP National Conference at the Smithsonian National Air and Space Museum in Washington, D.C. The Space Station Explorers consortium is a growing community of ISS National Lab partner organizations working to leverage the unique platform of the space station to provide valuable educational experiences. An Upward feature on DreamUp, a Space Station Explorers partner program that provides multiple pathways for students to design and launch experiments. An Upward spotlight highlighting an SSEP student experiment studying tiny crystalline structures that form around tin-plated metals in electronics components. 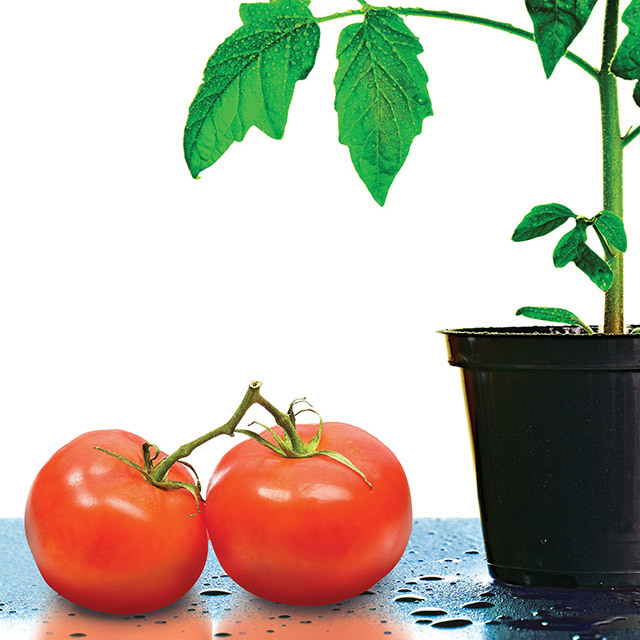 An Upward feature focused on the Tomatosphere educational program, in which students cultivate and study seeds exposed to spaceflight conditions on the International Space Station. 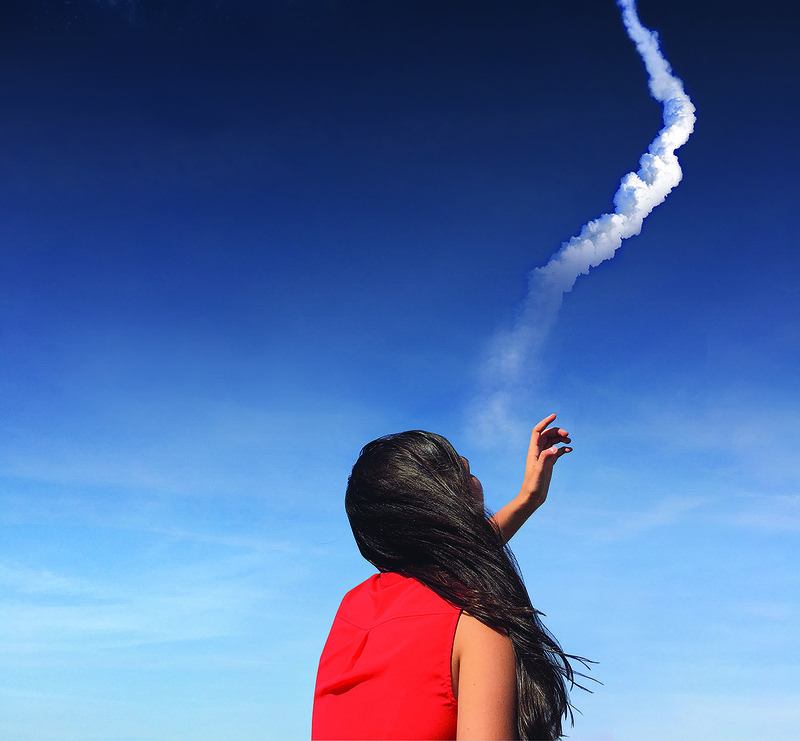 An Upward feature highlighting the inaugural winner of the Genes in Space contest, in which students compete to send their DNA experiments to the International Space Station. An ISS360 article highlighting the interdisciplinary nature of many Space Station Explorers educational programs. 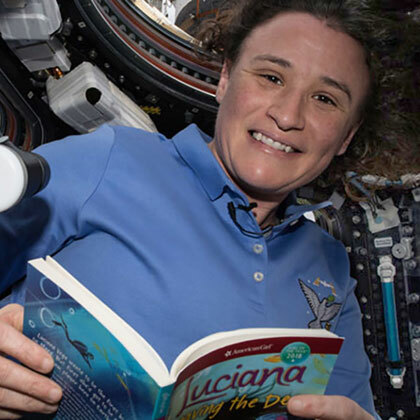 An Upward spotlight highlighting how the International Space Station can be leveraged as a powerful education tool. 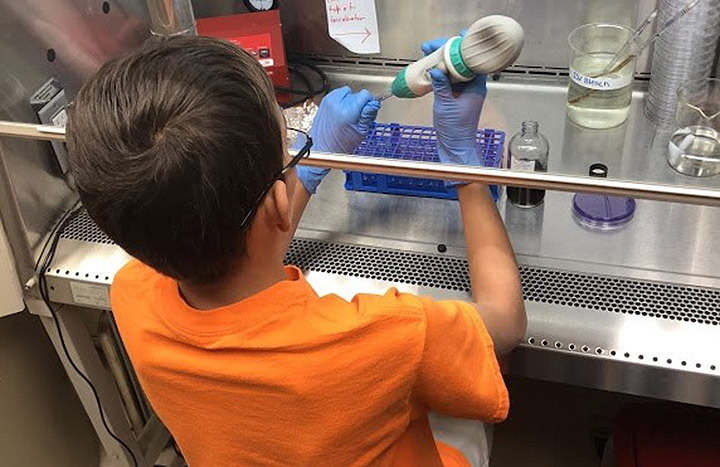 An Upward spotlight on the Wisconsin Space Crystal Mission, in which students tested their optimized conditions for Earth-based crystallization against microgravity-based crystallization on the ISS National Lab. 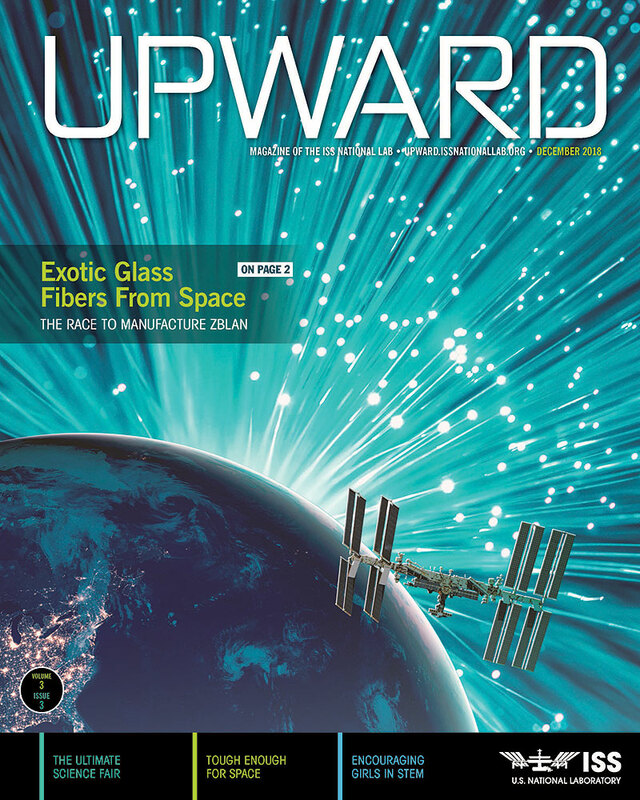 An Upward spotlight on a high schooler's winning Genes in Space experiment. An Upward spotlight on the Amateur Radio on the ISS (ARISS) educational program in which students participate in amateur radio communication with ISS crew members. 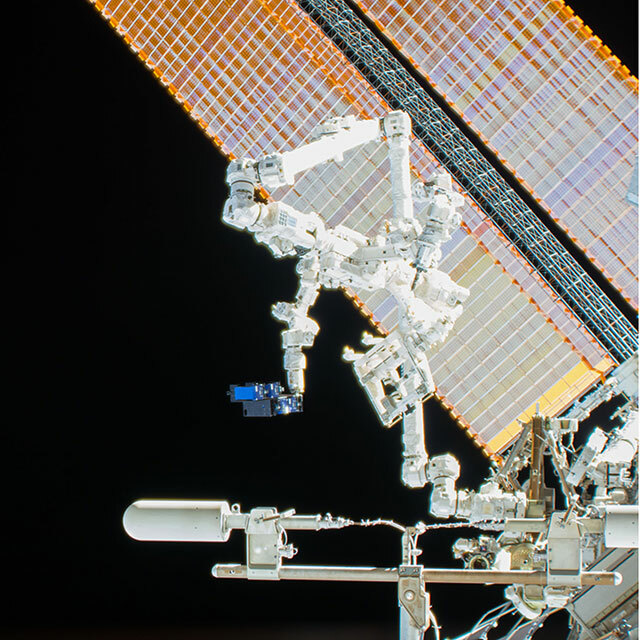 An Upward spotlight highlighting the Zero Robotics educational program, in which students code SPHERES satellites on the ISS to complete various tasks in a competition. An Upward spotlight on an experiment from a team of Chicago-area Boy Scouts looking at how bacteria mutates in space. SSEP was started in 2010 by the NCESSE in partnership with in-orbit commercial service provider NanoRacks, LLC. SSEP is a partner in the Space Station Explorers consortium, a growing community of ISS National Lab partner organizations that aims to leverage the space station to engage learners in valuable STEM education experiences. The program is offered to students in grades 5 through 12, as well as undergraduates in colleges and universities. 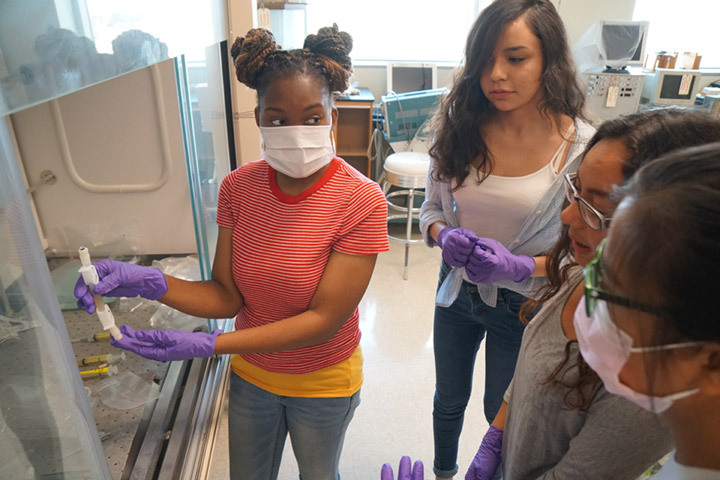 Students can design experiments spanning many research areas, including cell biology, the physiology and life cycles of microorganisms, crystal growth, seed germination, and food studies. 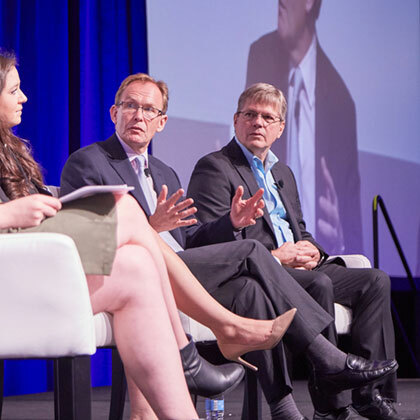 Since its inception, SSEP has engaged more than 86,000 students in the U.S., Canada, and Brazil in authentic research experiences. SSEP aligns powerfully with the new national Next Generation Science Standards (NGSS) because it stimulates critical thinking and problem solving within the sciences. NGSS was created by states to promote science literacy in students in a way that extends beyond mere knowledge of facts. Science is not just a subject—it is a field of study. The NGSS framework, published by the U.S. National Research Council, describes an approach to learning science that is “three dimensional.” Instead of expecting students to merely process existing science knowledge, the NGSS challenges students to learn how to think and act like a scientist and understand the fundamental nature of science: that our understanding of the universe is continually being revised as we advance in our ability to conduct new investigations. Practices are focused on critical thinking—for example, how to ask questions, develop models, execute experiments, interpret data, and use other skills that are part of the scientific process. Crosscutting Concepts are fundamental principles that apply frequently to the diverse topics in the science classroom—for example, cause and effect, stability and change, and structure and function. Disciplinary Core Ideas are the overarching concepts within scientific knowledge that students should know to be good future citizens and career professionals—for example, heredity, Earth’s systems, and matter and its interactions. Within these core ideas, specific topics are taught and built upon within each subsequent grade. These three dimensions are equally important within each performance expectation, or written standard for what a student should be expected to know and be able to do at a given grade level. Because the NGSS is fairly new to instructors, science-based learning initiatives and lesson plans that embrace these three dimensions of science education are still being developed and are valuable to and needed within the education community. SSEP meets this need by challenging students to perform science from the brainstorming and proposal writing phases of a research investigation through its execution and analysis—requiring students to practice the scientific method, internalize crosscutting concepts and predict how they will influence their experiment, and learn about specific science topics within disciplinary core ideas. 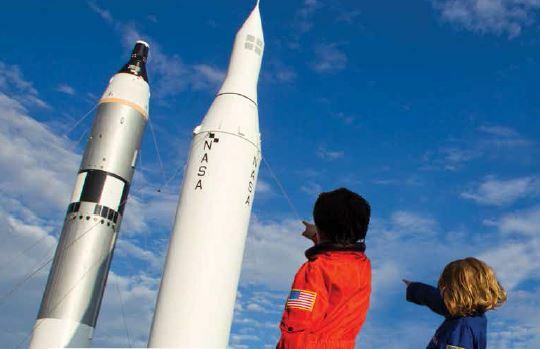 The program is thus on the leading-edge of national approaches to science education while also inspiring and exciting students through the wonder of space.